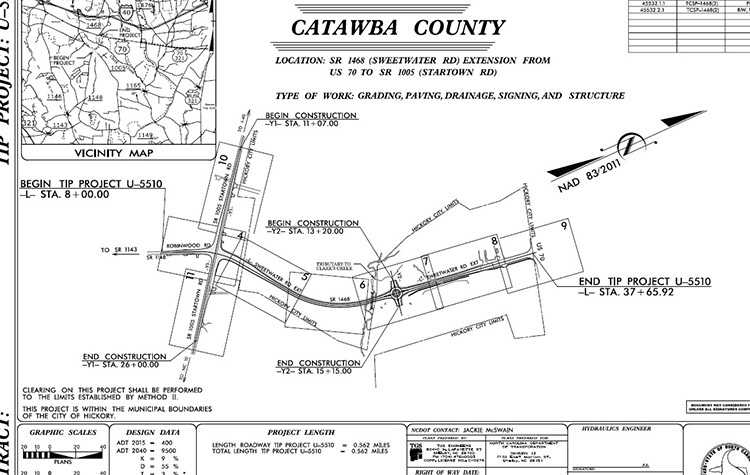 NCDOT TIP U-5510 involves the extension of Sweetwater Road (SR 1468) along the eastern side of Catawba Valley Community College (CVCC) from US 70 to Startown Road (SR 1005). This half-mile stretch will create a new 2-lane facility between the main campus and its east campus in Hickory, North Carolina. 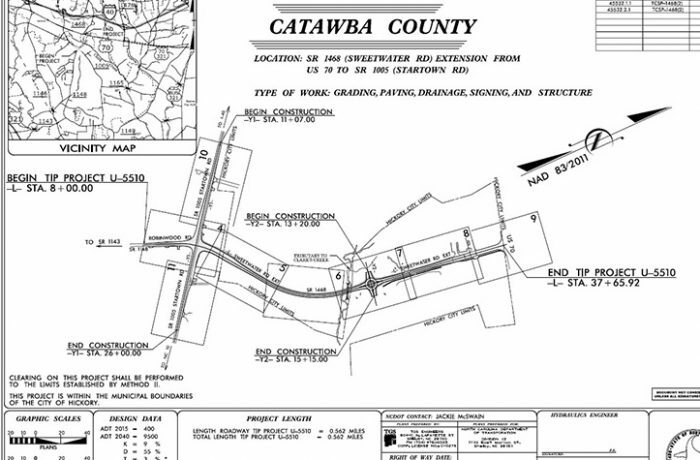 This improvement will alleviate traffic at the intersection of US 70 and McDonald Parkway. A heavily traveled route, this enhanced intersection will improve access for expanding industry, students, emergency response and area residents. This $5M project is expected to be let late 2017.